Tangiers Group is gearing up for its biggest year yet in 2018 as it continues to expand its social and commercial endeavours into new territories. 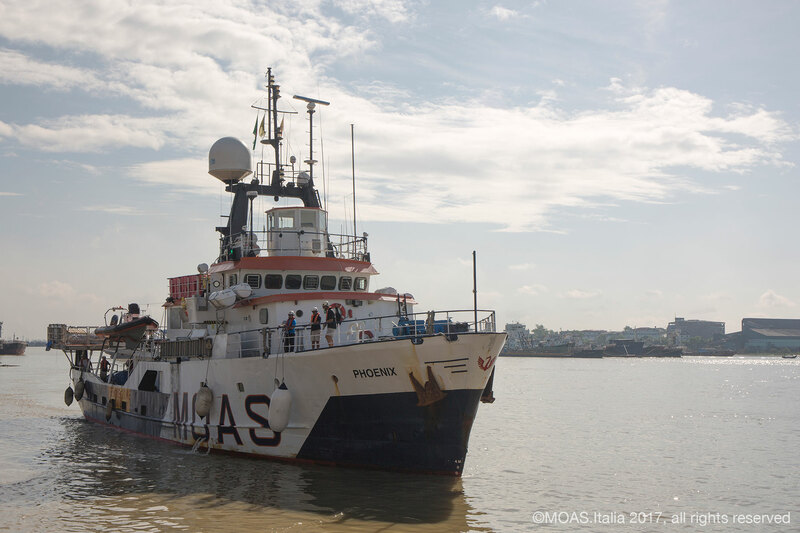 The Group’s mission – of Making Lives Better – has been a central tenet of the past year with MOAS operations in Bangladesh, North and West Africa and the Mediterranean proving its commitment to refugees on land or at sea. MOAS successfully ended its Mediterranean operation in 2017 – having rescued a phenomenal 40,000 men, women and children as they attempted perilous sea crossings in search of sanctuary. The shift in focus away from solely sea-based operations means the non-profit is able to concentrate on the plight of refugees wherever they happen to be. Heralding its new direction, MOAS opened two clinics near Bangladesh’s border with Myanmar aimed at assisting members of the Rohingya ethnic group fleeing persecution. The clinics are currently providing both primary and secondary medical services with a focus on antenatal, postnatal and paediatric care to the thousands of refugees who have been forced from their homes in the region. Meanwhile, MOAS carried out its first aerial operation this December when, working alongside the United Nations, it resettled 74 refugees from Libya to Niger by plane as part of its campaign to support safe and legal routes. The campaign seeks to prevent refugee deaths by decreasing the number of people embarking on dangerous voyages to European shores. Across the board, Tangiers Group has grown over the past 12 months, expanding its client base in Europe and the US, increasing staff numbers both in Malta and further afield and establishing HR, Finance, IT and Marketing support teams – providing services to all of its companies. The hirings will enable Tangiers to continue to smoothly orchestrate its operations both internally and with external partners. Individually, Group members have shone as well. Tangiers International became a certified B-Corporation in May, joining a prestigious list of some the world’s most socially-minded businesses – also becoming the very first Maltese company to receive the honour. The certification underlines the company’s deep commitment to corporate responsibility through its support for local communities as well as its allocation of profits and resources to MOAS. This year also saw Tangiers International grow its client base in Europe and the US, launch a dedicated customer app and diversify its services by offering 24/7 emergency assistance and claims handling to the general travel and personal accident markets. Meanwhile, Osprey Insurance Brokers saw growth of 10 per cent over the last year, Tangiers Insurance Services (TIS) became FCA registered and a Lloyds coverholder and Tangiers International established a department in Dubai to better serve clients in the Middle East and North Africa. These successes mean 2018 is expected to be a watershed moment for Tangiers Group. The Group aims to expand Tangiers Insurance Services into the US and Canadian markets, implement innovative employee benefits and continue to make a real difference by supporting socially impactful causes around the world.